Editora: Henry Holt and Co.
Devon has life pretty much figured out: she's got her best friend Cas, her secret crush (also Cas), and her comfortable routine (mostly spent with Cas). New experiences: not welcome here. But as she enters her senior year, her parents take in her cousin Foster, an undersized weirdo who shows an unexpected talent for football, and star running back Ezra takes Foster under his wing. Devon can't figure out how she feels about Ezra. He's obviously stuck-up, but Foster adores him. Ezra has nothing to say to her, but he keeps seeking her out. And... Devon might actually like him. If only she can admit it to herself. 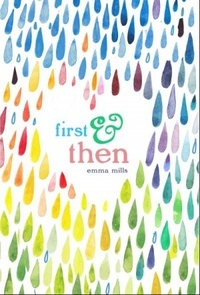 EMMA MILLS é autora de First & Then, This Adventure Ends, Foolish Hearts e Famous in a Small Town. Ela mora em Indianópolis, onde atualmente está fazendo doutorado em Biologia Celular.